Top Rated iPod Warranty Plan! Only $29.99 for 2 Years of Coverage! iPods are everywhere. Chances are you either own one or know someone who does. Being that iPods are extemely portable, they endure much stress and daily abuse just by being carried around wherever you go. iPods break and without an extended warranty plan with accidental damage protection, you are really taking a chance with your iPod. Liquid and impact damage are the most common types of problems with iPods and for this reason they should be covered at all times. 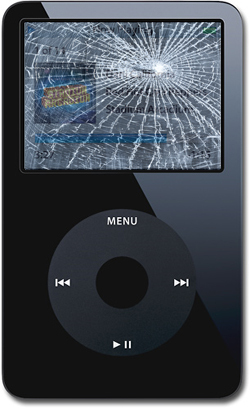 Consumer Priority Service offers full accidental protection on our iPod warranty plan that will cover your iPod in the event of a drop, crack, spill or submersion. This means in the event of a mishap, Consumer Priority Service will repair your iPod or replace it if it can’t be repaired. Considering the cost of buying an iPod brand new, the small price of an iPod warranty is sure worth the peace of mind and protection. Consumer Priority Service provides iPod warranties on all iPod models. Consumer Priority Service also recommends that when shopping for iPod accessories you also pick up an iPod case to add further protection in addition to our iPod warranty protection plan.